If you have a teething puppy, you will want to choose the best toys that are sturdy and safe. Puppies will enjoy teething toys between the ages of 8 weeks and 6 months. While a dog’s desire to chew is a natural instinct, during the teething stage, this ability peaks during this time since their gums will be sore. Here are some of the best chew toys for a teething puppy. The Chilly Bone is manufactured by Multipet- This toy seems to be a favorite among teething puppies because of the fact that it calms the tension from teething. Chilly Bones come in two sizes: 5.5 inches and 7 inches and the size you choose will depend on the size of your dog. Chilly Bones are packed with a nontoxic gel that will turn frozen almost instantly when frozen. 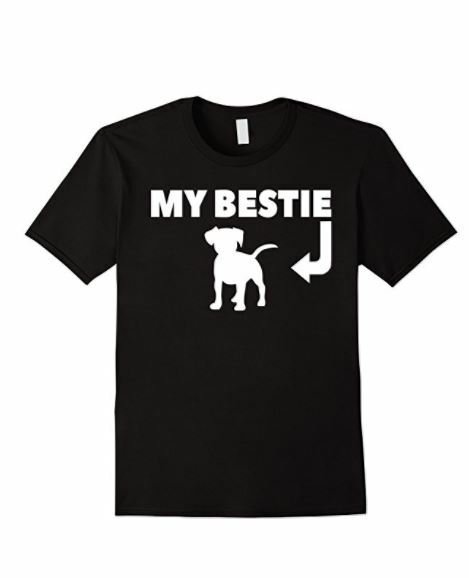 The best part is that they stay cold for about an hour or two so your puppy will have long relief from sore gums. Teething Rings are manufactured by Nylabone- This teething toy comes in an array of sizes and shapes and are constructed from hard plastic. These durable toys are not scented at all but puppies love to chew on them. The Puppy Kong is made by The Kong Company- Puppy Kongs come in two colors: blue and pink and are made from soft rubber. 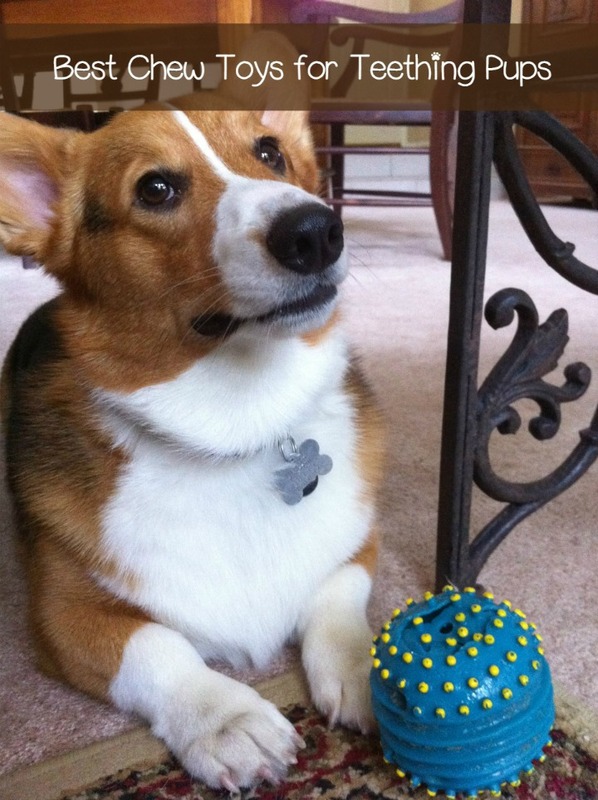 You just need to add some treats to it and give it to your puppy to enjoy. The soft rubber is great for teething puppies. Not only does this toy help with teething but it makes an enjoyable toy for them to play with. 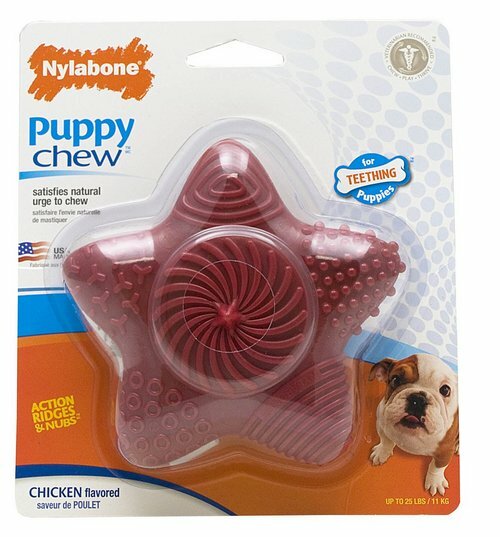 Puppy Teething Star Chew Toy is manufactured by Nylabone. This teething toy is filled with chicken flavor and provides an array of textures. The Puppy Teething Star Chew Toy is flexible and is made specifically for puppies that are teething. Any of these best chew toys for a teething puppy will help satisfy your pup’s chewing urge and keep him away from your favorite shoes! For the best results, offer a few different toys so mini-Fido doesn’t get bored! Just like babies, puppies like variety too! Have you been through the teething stage with a puppy already? What were your go-to chew toys for a teething puppy?